They're arguably one of the most stylish, cutest, and chill celebrity couples out there, and now they've been married for a year. 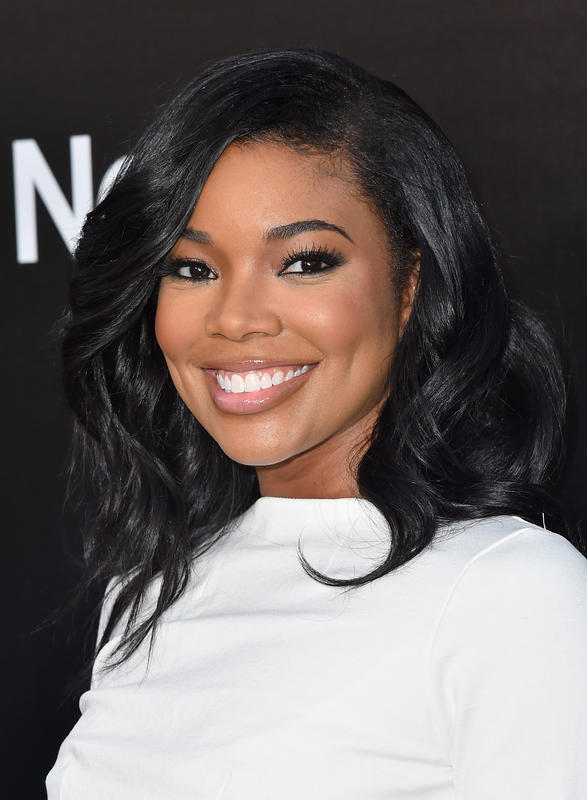 Congrats Gabrielle Union and Dwayne Wade! For the duo's first anniversary, we sartorialists have been given a gift: Gabrielle Union shared new photos of her wedding dress, filled with never-before-seen moments from her special day. From the glimpses of Gabrielle Union's wedding dress that we were afforded just after the pair's nuptials last year, we knew that the white gown that she wore to walk down the aisle was stunning. In fact, Bustle's Tyler Atwood named it one of the best celebrity wedding gowns of 2014. Union "said yes" to the custom-made Dennis Basso dress from legendary, TV-famous Kleinfeld Bridal for her stunning occasion. Proof of her classic style and timeless beauty, the photos she shared of the custom-made sweetheart gown that she wore down the aisle are just as stunning today as they were a year ago. In classic Union style, they were also accompanied by funny captions like, "When you're a bride but also a Superhero and you gotta save the day..."
If the pair decide to have kids, they'll undoubtedly love looking at how stylish and what a babe their mom was. These are definitely #TBT material. It's not the only time Union's looked incredible in white, though. She's been wearing a ton of it lately, perhaps to allude to and celebrate her first year of marriage. Whether or not that's the case, I don't really care. I just love me some Gabi #OOTDs.